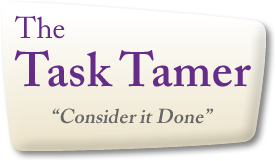 The Task Tamer is available to make your life easier. If you have any questions, would like to schedule a consultation or would like to hire me to help with a task, please contact me. Email: Please use the form below. I try to respond to all messages within 24 hours!